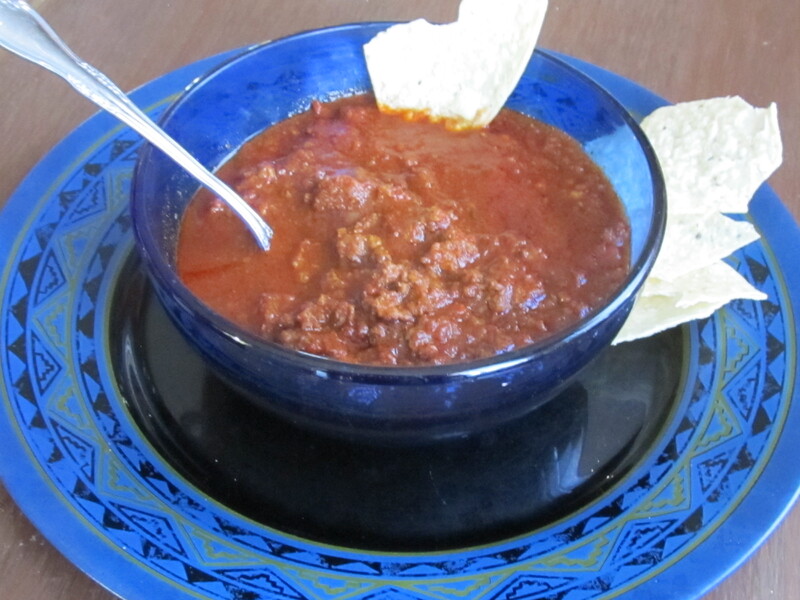 It’s getting cooler here in Oklahoma, so we have to have our Chili. Hope you enjoy this recipe! Brown ground beef in skillet and add chopped jalapenos, garlic and onion at the same time. When meat is cooked down and starting to brown add the salt. Continue to stir and scrape the bottom of the skillet until all liquid is gone from meat and it is browned. Remove from heat and transfer to a large pot. Add the chili seasoning and stir, on low heat until well mixed. Then add tomatoes and bring to a boil. Cover and let simmer, on low heat for 20 – 30 minutes and serve. The top photo is a Frito Chili Pie. Just crush Fritos in the bottom of your bowl, add Chili, the grated Cheese and chopped onions if you prefer. Enjoy!! !